Are Cherry Pits Poisonous? How Many Are Safe to Eat? The last time you were at a birthday party or a wedding and had that piece of cake with the cherry on it, did you have the cherry and eat the pit too? The chances are that you took it out from your mouth and placed it neatly on your plate. We’re pretty sure you’ve often asked yourself, “Are cherry pits poisonous?” The answer is, yes! The seeds in cherries, apricots, peaches, plums, and pears contain cyanogenic glycosides or cyanide. So, does it mean that if you swallow the pit from a cherry or eat apple seeds, you will get poisoned? Well, not really. It depends on many factors including how many seeds you consumed. Read on to find out more about this tasty and nutritious fruit, and really, are cherry pits poisonous enough to kill a human. Cherry seeds have a substance called amygdalin, which releases cyanide when metabolized. The seeds have enough amygdalin in them to release cyanide when you chew them. So, the cyanide only results in minimal toxicity, and the body is capable of eliminating it. Chewing cherry seeds can be hazardous, as they break down and mix with the saliva in our mouth to the release the cyanide. Children are the most vulnerable, as they may not know how to eat the cherries correctly. How Many Cherry Pits Can You Eat? So, are cherry pits poisonous? What is the lethal dose? The answer depends on many factors. 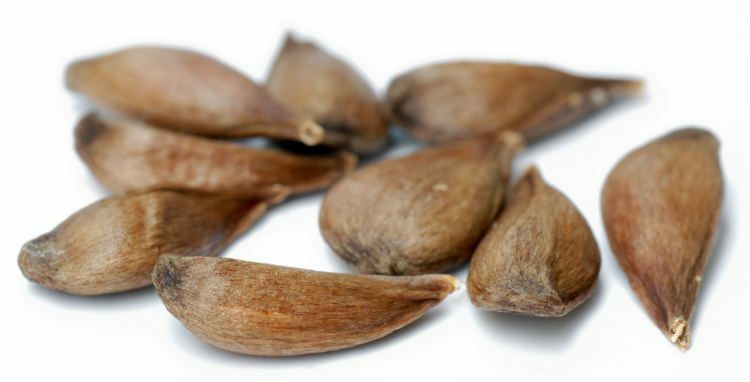 If you swallowed the seeds whole, you might not have to worry about it. But, do not grind them and put them in smoothies or shakes. That will definitely release the cyanide and make you sick. The amount of cyanide needed to prove lethal is equal to 1.5 times the numerical weight of that person in milligrams. So, to kill a 150-pound adult human, you would need around 100 grams of cyanide. A single cherry contains 0.17 grams of cyanide per each gram of seed. So, depending on the size of the pit, it will take a lot of freshly-ground cherry seeds (approximately 588) to give you a lethal dose. So, swallowing one or two of them accidentally won’t kill you. What Happens If You Eat a Cherry Pit? Were the seeds ground or roasted? The answers to the above three questions will more or less tell you if you should rush to the emergency room or sit it out and let your body do the detoxifying. Of course, if you have symptoms like vomiting or a headache within a few hours of eating the cherry pits, you should see your doctor immediately. Now that you know fruit seeds are poisonous, be sure to spit them out when you consume cherries, apricots, or plums. It is also advised not to experiment with the dried seeds of these fruits either. Simply dispose of them in the trash bin. In cases of mild poisoning, the symptoms include a headache, dizziness, confusion, anxiety, and vomiting. More severe cases will show signs of high blood pressure, difficulty breathing, and heart and kidney failure. And, in extreme cases, severe poisoning can even cause coma, convulsions, and death due to respiratory arrest. An experiment carried out at the Department of Pediatric Intensive Care at Erciyes University in Turkey revealed the poisonous effects of apricot seeds, which have similar ingredients as cherry pits. A total of 13 patients with cyanide intoxication due to apricot seeds were admitted, and a retrospective review was done on all of them. They had symptoms like coma, convulsions, hypotension, metabolic acidosis, hyperglycemia, and more. They were accordingly treated and discharged in three days on an average. So, the study proves that apricot seeds are poisonous. But in this case, we do not know the number of seeds consumed. Similar results may be applicable for cherry pits as both have cyanide, but further research is required. In conclusion, cherry pits are poisonous. But, your body has a defense mechanism to detoxify the naturally-occurring toxins in certain types of foods you eat. Your immune system protects you against these mild intakes. So, be mindful when consuming cherries, as you do not want to end up in the ER as a result of cherry pit poisoning. “Is it true that cherry pits contain enough poison to kill you?” Quora; https://www.quora.com/Is-it-true-that-two-cherry-pits-contain-enough-cyanide-to-kill-you, last accessed August 2, 2017. “Yes, Apple Seeds and Cherry Pits Contain Cyanide,” Science Notes, June 9, 2016; https://sciencenotes.org/yes-apple-seeds-and-cherry-pits-contain-cyanide/, last accessed August 2, 2017. Petter, O., “MAN NEARLY DIES AFTER EATING CHERRY PITS,” The Independent, July 29, 2017; http://www.independent.co.uk/life-style/man-cherry-stones-nearly-dies-eating-fruit-blackpool-matthew-creme-a7864261.html, last accessed August 2, 2017. Sun, J., “8 Foods That Could Kill You (If You Eat Enough of Them),” Bon Appetite, October 15, 2013; http://www.bonappetit.com/test-kitchen/ingredients/slideshow/foods-that-can-kill-you, last accessed August 2, 2017. Akyildiz, B.N., et al., “Cyanide poisoning caused by ingestion of apricot seeds.,” Annals of Tropical Paediatrics, 2010; 30(1):39-43. doi: 10.1179/146532810X12637745451951, last accessed August 2, 2017.